Blood thinners are prescribed for individuals who need to reduce their risk of developing heart disease or having a heart attack or stroke. 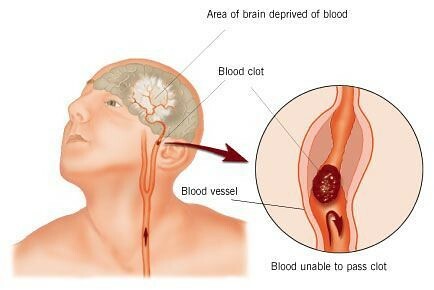 The pills work by preventing the formation of blood clots within the body or by making the process of forming these clots take an extended period of time. Many people are able to simply take one aspirin per day to get the desired effect, but an individual who has already had one heart attack or stroke is likely to be given a prescription medication such as Warfarin. Blood thinners are actually a misnomer in that these drugs don’t actually cause the blood to become thinner but it does cause the blood to behave in different ways. For instance, some blood thinners can reduce how it clots, others can split and break up the clots and some can even keep the blood from clumping together. Each method is a way to assist and prevent blood vessels from becoming blocked. Although many doctors will prescribe blood thinners, they also need to carefully monitor the impact that the medication has on their patients. These anticoagulants can be life-saving for individuals who are at a high risk for strokes, heart attacks and heart disease, but they can also cause severe complications if they are not properly monitored. For example, if a blood thinner is mixed with a wide range of different things, including acetaminophen and certain herbal supplements, its effectiveness can be greatly reduced. Drug interactions can also lead to serious complications such as internal bleeding. Pradaxa was initially touted as a miracle medication when it was first released, but the FDA now deals with an exorbitantly high number of complaints about it every year. Websites such as pradaxalitigation(dot)com say, “Pradaxa has no readily available reversal agent. Instead, patients must wait for the drug´s effects to naturally wear off as it is processed by the body. This leaves patients in danger of bleeding out even in an emergency situation.” Even though there have been multiple serious cases of side effects, including death, the FDA has not made any indication that they are planning to remove the prescription drug from the marketplace. In many instances, the positive impact that Pradaxa can have has been considered to be worth the potential side effects. Unfortunately, it is typically a doctor who makes this decision without discussing with their patient the severity of the issues that the drug has caused. Because of this, it is always important to do your own research on any medication that is prescribed to you, especially if it has only been out for a couple of years. If you experience any serious complications, you should inform your doctor immediately. It is also a good idea to contact an attorney who has experience dealing with cases involving the side effects of taking Pradaxa or any other blood thinner. Ieda Vincent is a researcher with varied science experience and provides this information to expose the dangers and hazards as well as encourage people to get educated before taking any medication. Doyle Raizner LLP at pradaxalitigation.com has dealt with many cases involving the harmful effects of Pradaxa. They are one of the top firms managing many personal injury cases with tireless commitment and determination.